There’s something about getting your hands on the steering wheel of a new car that can’t be replaced. And it apparently doesn’t matter whether you’re a millennial – or an older shopper. As millennials – people born between 1980 and 1994 – abandon most retail stores in droves, there remains a need to buy a car in person. In a recent survey, 62 percent of American millennials said they plan to buy their next car at a dealership rather than online. As a millennial, I remember buying my car at a dealership as vividly as my college graduation. Like generations before, car-buying memories define the eras in which we grow up and help shape who we are. Whether you are buying your first or tenth vehicle, visiting the dealership is a rare occurrence for most and still makes each car purchase a milestone event. In my case, it came down to choosing between two cars, and I had done my research for a few days. Both cars had a great gas mileage and were known to last for a lot of miles. I was torn and did not know which one to choose. I decided I would make my choice based on the test drive. Stepping into both cars raised more questions: How comfortable is the seating? How sensitive are the brakes and throttle? Do I envision myself driving this on my morning commute? As I drove, those questions were answered – and the clearer my choice became. By the time we made it back to the lot, I knew without a doubt which car I would choose. When the dotted line was signed and the salesperson put the keys in my hand, I felt like a new era of my life began. 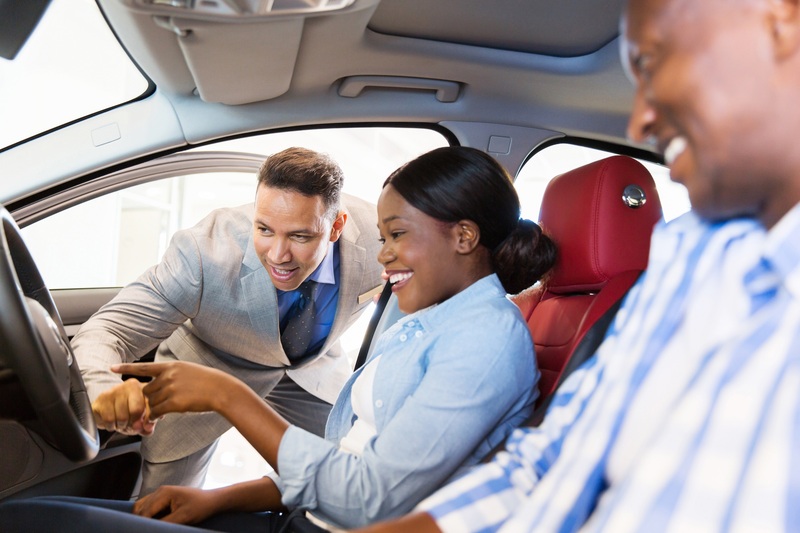 Whether it is the millennial generation or an older shopper, purchasing a car remains one the biggest investments anyone makes along with buying a house or going to college. Just like touring a potential home or university, the best way to know if a car is the right fit is to see for yourself. While most retail shifts online, the in-person experience remains central to the car buying process. And contrary to expectations that millennials would lose interest in cars, statistics say otherwise. This past summer, TransUnion conducted a study evaluating the credit trends between millennials and the Gen X generation when they reached age 21 to 34. The study found that millennials have made 21 percent more auto loans and leases than their Gen X counterparts did during the same age window. Whether you are a baby boomer, Gen X, or millennial, one thing remains true across all generations – there’s nothing like getting your hands on the steering wheel of a new car.